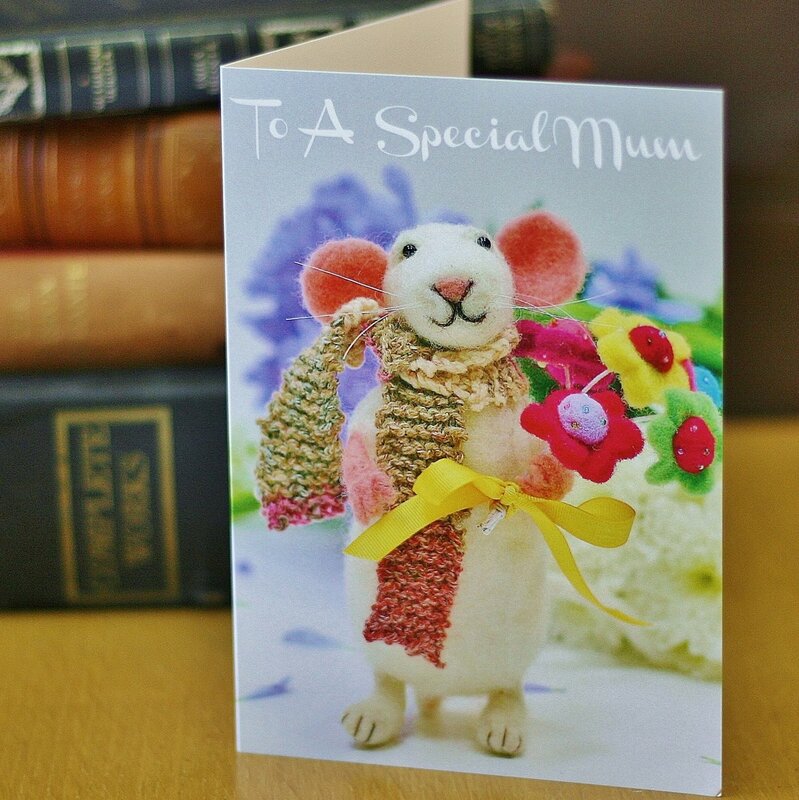 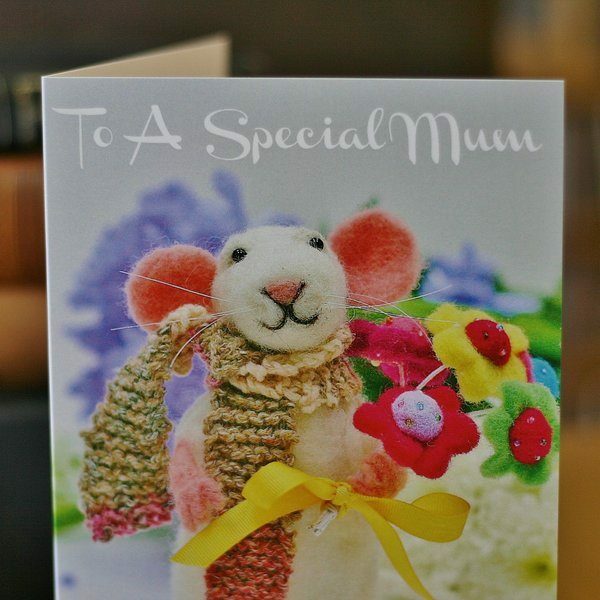 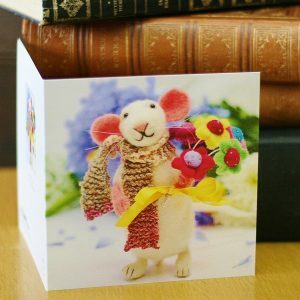 An excellent quality art print beautifully reproduced from my needle felted Mouse with a, ‘Bouquet Of Love’. 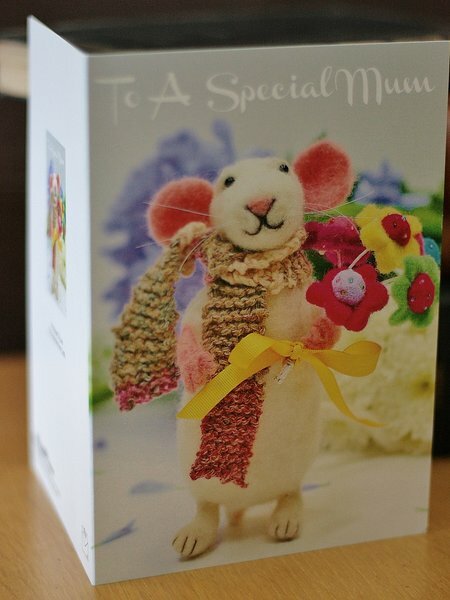 Left blank inside for your own message and printed on excellent quality, semi gloss card. 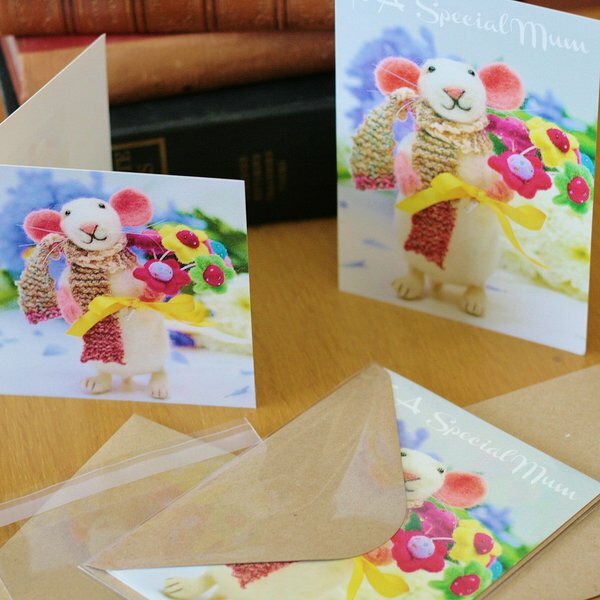 Sealed for protection and presentation in its own clear bag with an eco brown recycled envelope. 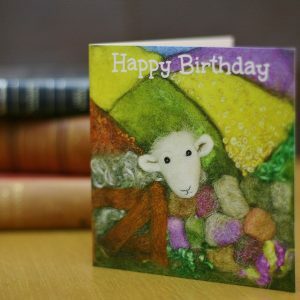 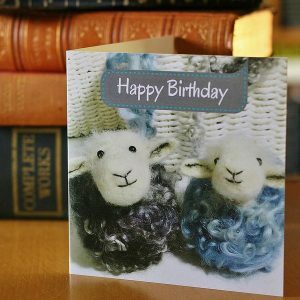 The card itself is also from recycled materials.